The World Junior Championships were again conducted in conjunction with the World Senior Championships for non-Olympic events. 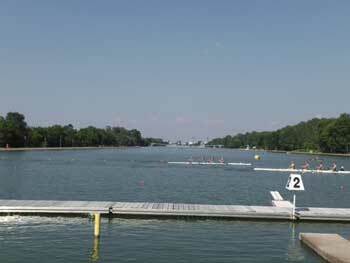 The regatta was conducted at Plovdiv Bulgaria from 15 to 19 August. In an Olympic year, the World senior championships are conducted only in the non-Olympic classes. Unfortunately the Australian team did not come back with any medals from these Championships, either in the junior or senior events. The medal table summary is attached.